A wide variety of vines grow well in zone 8, but the best vines grow particularly well in this area because of their robust adaptions to warm summers and cold winters. Zone 8 includes states such as Texas, Georgia and Florida. These vines grow well in other areas across the United States because zone 8 is similar to several other zones. Vines that grow well in zone 8 usually grow well in zones 9 and 10 also. Boston Ivy, also called (Parthenocissus tricuspidata) is a well-known hardy vine that grows well in zone 8 along with several other zones across the United States. This is a self-clinging vine that easily grows up walls, buildings, trees and fences. The foliage is shiny green and thick throughout most of the year, but the leaves turn amber and orange in the fall. Black colored berries sprout each spring, but these berries are only edible for birds and other animals. 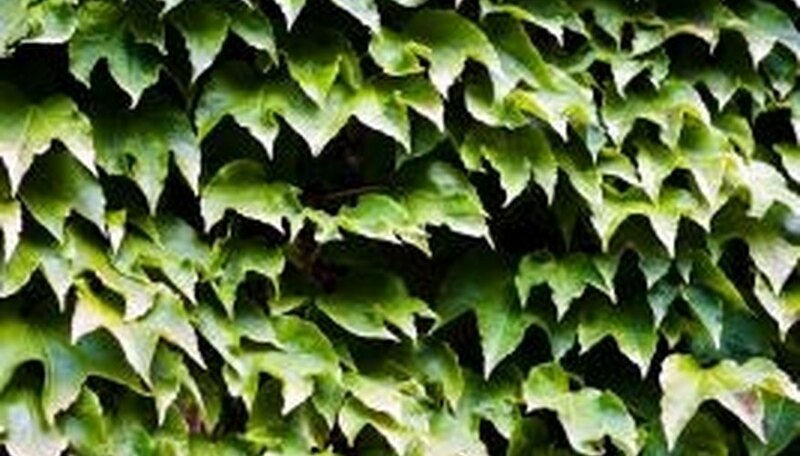 Boston Ivy can exceed heights of 30 feet tall. This plant needs full sunshine and nutrient-dense, well-drained soil. Passionflower, also called Passiflora also grows well in zone 8 and other areas across America. The foliage is oblong shaped with pointed tips and light to deep green with purple, red, blue and white flowers in the spring. The flowers are oddly shaped with soft basic petals and a second layer of string-like petals on top. The center has white string-like buds that protrude outward as well. This aggressive vine grows up walls and trees quickly. The flowers tend to attract hummingbirds, bees and bugs. It can grow up to 25 feet long. Passionflower vines grow well in well-drained soils and full sun to partial shade. The Clematis, also called Henryi is another vine that grows especially well in zone 8. This vine has deep green oblong-shaped leaves with purple, white, pink, red, blue or multi-colored flowers in the spring. The flowers grow close together in clusters. The centers are white or yellow with protruding feather-like hairs. Clematis is a climbing vine, but it only grows 8 to 12 feet, which is much shorter than other vines. Other species of Clematis can grow much larger than the Henryi variety. Clemson State University says that this plant is susceptible to powdery mildew, so it's vital to make sure that the plant grows in an area with good air circulation. This usually isn't a problem if the plant grows outdoors and has plenty of room to spread. Clematis vines grow best in fertile, moist, well-drained soil and full sun.